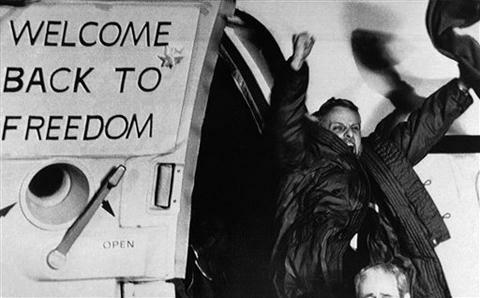 Freed U.S. hostage David Roeder arriving at the Rhein-Main air base in Frankfurt, Germany, on January 21, 1981. He was among 52 Americans held hostage in Iran for 444 days. This week in our series, we look at the presidential campaign of nineteen eighty and the election of Ronald Reagan. The months before Election Day in November of nineteen eighty were difficult for President Jimmy Carter. Many Americans blamed the Democrat for the nation's economic problems, including high inflation and high unemployment. Many also blamed him for not gaining the release of fifty-two American hostages in Iran. About a year earlier, Muslim extremists had seized the United States embassy in Tehran and taken the Americans as prisoners. President Carter urged all Americans to support his administration during the crisis. As the months went by, however, he made no progress in bringing the hostages home. The Iranians rejected negotiations for their release, and an attempt to rescue them failed. The president appeared powerless. Carter's political weakness led another Democrat, Ted Kennedy, to compete against him for the party's nomination. Kennedy was a powerful senator from Massachusetts and brother of former President John Kennedy. But at their national convention the Democrats nominated Carter for a second term, along with his vice president, Walter Mondale. Kennedy chose not to support them very strongly, so the Democratic Party was divided for the general election. The Republican Party, however, was united behind a strong candidate -- Ronald Reagan, a former actor and former governor of California. Reagan's running mate for vice president was George H. W. Bush. Bush had served in Congress and as head of the Central Intelligence Agency. He had also represented the United States as ambassador to China and to the United Nations. The inability of the Carter administration to solve the hostage crisis and other problems made many Americans feel that their country was weak. Reagan promised to give them confidence once more in the nation's strength. Carter and Reagan debated each other several weeks before the election. To some people, Carter seemed angry and defensive while Reagan seemed calm and thoughtful. RONALD REAGAN: "Next Tuesday is Election Day. Next Tuesday, all of you will go to the polls and make a decision. I think when you make that decision, it might be well if you would ask yourself: Are you better off than you were four years ago? Is it easier for you to go and buy things in the stores than it was four years ago? Is there more, or less, unemployment in the country than there was four years ago? Is America as respected throughout the world as it was? "And if you answer all of those questions 'yes,' why then, I think your choice is very obvious as to who you'll vote for. If you don't agree -- if you don't think that this course we've been on for the last four years is what you would like to see us follow for the next four -- then, I could suggest another choice that you have." On Election Day, voters gave Reagan a huge victory. It became known as the "Reagan Revolution." Inauguration Day was January twentieth, nineteen eighty-one. Ronald Reagan became the nation's fortieth president and, at sixty-nine, the oldest ever elected. In his inaugural speech, the new president talked about the goals of his administration. A major goal was to reduce the size of the federal government. Reagan and other conservatives believed that the nation's economy was suffering because of high taxes and unnecessary laws. Government, he said, was not the solution to the problem. Government was the problem. He urged Americans to join him in what he called a "new beginning." RONALD REAGAN: "The economic ills we suffer have come upon us over several decades. They will not go away in days, weeks, or months. But they will go away. They will go away because we as Americans have the capacity now -- as we have had in the past -- to do whatever needs to be done to preserve this last and greatest bastion of freedom." Ronald Reagan was born in nineteen eleven in the small community of Tampico, Illinois. He was a good student and a good athlete. During summers, he worked as a lifeguard at a river and saved a number of swimmers. He studied economics and sociology and was on the swim team at Eureka College, a small school in Illinois. While in college, he became interested in acting. But he did not have enough money to go to New York or Hollywood to study to become an actor. Instead, he tried out for a job as a sports announcer on radio. To show his abilities, he made a recording of a football game in which he announced all the plays. But the game was imaginary. He invented all the action. A radio station in Davenport, Iowa, liked his creativity and gave him the job. Later, "Dutch" Reagan, as he was called, worked at a radio station in Des Moines, Iowa. And then he moved to the big city -- Chicago, where he worked as an announcer for the Chicago Cubs baseball team. In March of nineteen thirty-seven, the Cubs were in California for spring training. Reagan went along, and while he was there he took a screen test with Warner Brothers. The movie studio liked the friendly, handsome young man and offered him a job. In fact, in his first movie, he played a radio announcer. Before long, Ronald Reagan was a Hollywood star. He appeared in many movies - some good, some ordinary, but most very popular with the public. In the nineteen-forty film "Knute Rockne -- All American," Reagan played Notre Dame University college football player George Gipp. His deathbed speech contained a line that would often be associated with the Reagan presidency. GEORGE GIPP (RONALD REAGAN): "Ask them to go in there with all they've got and win just one for the Gipper. I don't know where I'll be then, but I'll know about it, and I'll be happy." In "Kings Row," Reagan played a double amputee who had lost both legs. DRAKE (RONALD REAGAN): "Randy! Randy! Randy! Where's the rest of me? Randy ... "
RANDY (ANN SHERIDAN): "Yes, Drake!" DRAKE: "It was an accident." RANDY: "Yes, dear. But don't talk about it yet." He remembered "Kings Row" as the film that made him a star. During World War Two Reagan joined what was then the Army Air Corps and made training films. Reagan became deeply interested in politics during his years in Hollywood. 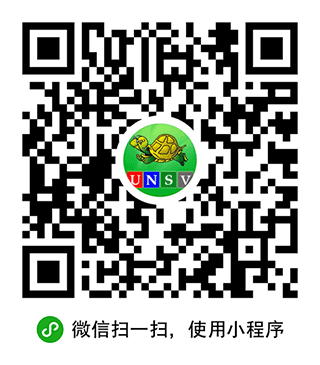 He started out a liberal, but his political views became increasingly conservative. He served six times as president of the Screen Actors Guild, a union of movie actors. He was noted for his opposition to anyone in the movie industry who supported communism. Later, during his presidency, the public learned that he had also been a secret informant for the Federal Bureau of Investigation. This was during a campaign against suspected communist sympathizers in Hollywood. After the war, Reagan guided the Screen Actors Guild through a frightening time for actors and others in the entertainment industry. It was the time of the powerful House Un-American Activities Committee. Its hearings resulted in the feared "blacklist." The blacklist was responsible for hurting -- even ending --the careers of many in the film and television industries if they were thought to be communists or to have communist sympathies. 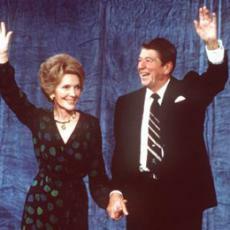 It was through the blacklist scare that Reagan met his second wife, Nancy Davis. Her name had mistakenly been confused with that of another actress, causing it to appear on a blacklist, and she sought Reagan's help in correcting the mistake. They fell in love, and would marry in nineteen fifty-two. HELEN BLAIR (NANCY DAVIS): "Must be a big push this time, Case." CASEY ABBOTT (RONALD REAGAN): "The admiral told me not to tell." Reagan and Nancy Davis appeared together in the World War Two drama "Hellcats of the Navy," in which he played a naval officer and she a navy nurse who loved him. HELEN BLAIR: "The admiral should have told me not to worry." CASEY ABBOTT: "I thought we'd settled all that. About you and me." HELEN BLAIR: "It won't stay settled, Case. Not until you tell me you've stopped caring." By the early nineteen fifties, Reagan stopped appearing in movies and turned instead to a new medium -- television. RONALD REAGAN: "And every Sunday night, General Electric brings you the finest motion picture stars on TV. The great names in comedy, in mystery, in romance. Every week, a star, all summer long, on the General Electric Theater." For many years, Ronald Reagan was the commercial spokesman for General Electric and host of a series of dramatic shows. For much of his life Ronald Reagan was a Democrat. By nineteen sixty, however, he was making speeches for conservative Republican candidates. In nineteen sixty-six, he became a candidate himself. He ran as a Republican for governor of California. Democrats did not take him seriously. They made fun of some of his movie roles, as in "Bedtime for Bonzo," a comedy where his co-star was a chimp. But Reagan had the last laugh. He won the election by almost a million votes. As governor, Reagan was praised for reducing the state's debt but criticized for raising taxes. Some people also thought he reacted too strongly against student unrest on college campuses. But he won reelection in nineteen seventy. In nineteen seventy-six Reagan ran for the Republican presidential nomination. He came close to winning that nomination away from President Gerald Ford. Ford recognized that there was strong support for Reagan among the convention delegates. After accepting the nomination, Ford asked Reagan to share the stage with him. The strong welcome that Reagan received was a clear sign of his future in the party. That future would come just four years later, when Reagan won the presidency. On Reagan's Inauguration Day, Iran finally released the hostages it had been holding for four hundred forty-four days. Walter Cronkite paused in his CBS television coverage of the inauguration for this breaking news report from Dan Rather. DAN RATHER: "Walter, according to our CBS News sources at Tehran airport, one of the two Algerian jetliners is taxiing, or was just a few moments ago. And the drama on the runway of the Tehran airport continues, as the long agony for the brave fifty-two has continued throughout this morning. "Now, as best as we can make it out, here is where the situation with the American hostages stands at this moment. They remain in Tehran, at least they were just a few moments ago at the airport, apparently moments away from their flight to freedom, a few moments after spending four hundred forty-four days in captivity. "And can you imagine what it must have been like inside that airliner for the hostages this morning?" As president, Ronald Reagan quickly began work to get Congress to reduce taxes. He also began a weekly series of radio broadcasts. Each Saturday he would comment on developments in American life and politics. The broadcasts were similar to the "fireside chats" of President Franklin Roosevelt during the nineteen thirties. Reagan's ability to relate to people earned him the nickname "the Great Communicator." Two months after he took office, Ronald Reagan was shot while leaving an event at a hotel in Washington. In the first moments, no one realized that he had been hit. But there was a bullet in his left lung, close to his heart. At the hospital, Reagan jokingly told the doctors: "I hope you're all Republicans." They were able to remove the bullet and he made a full recovery. But the shooting left his press secretary, James Brady, permanently disabled from a head wound. A Secret Service agent was also seriously wounded. The gunman, twenty-five year old John Hinckley Junior, was sent to a mental hospital. His explanation for the attack was that he was trying to impress the actress Jodie Foster. We'll continue the story of the Reagan presidency next week.